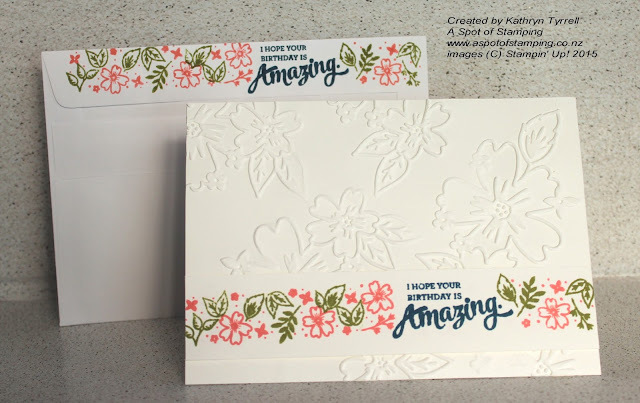 A Spot of Stamping: New Stampin' Up! Catalogue out today! Today is the first day of the new Stampin' Up! Annual Catalogue. We are so excited as this is a fabulous catalogue and the new colours are brilliant. To view the new catalogue online click here. If you'd like a copy, please let me know and I'll get one to you. To share with you some of the brand new product, here's a card I sent to a lovely lady on my team Paula Reid. She even shares her birthday with her husband the same day. 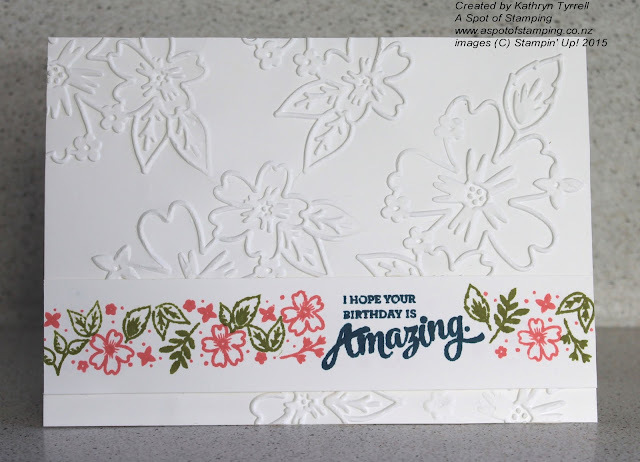 I have used a new mini embossing folder for this one called Floral Affection which is part of a new suite called the Affectionately Yours Suite, together with a fabulous new stamp set called Mixed Borders. Do you see how the border even has a gap the perfect size for the sentiment - how cool is that? 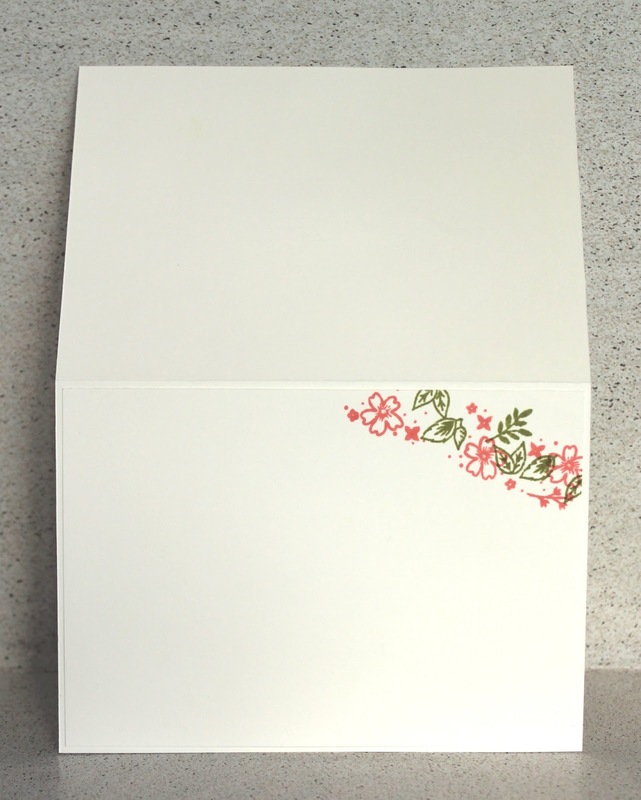 and then I put a little piece of the flower border across one corner on the inside. Happy Birthday to Paula and Phil. I hope they had a wonderful birthday. I love to hear your comments so please let me know what you think.